Considering how quickly technology advances and evolves — it can seem impossible to stay ahead. But if you know what’s changing, you can ride a wave to success — instead of watching it crash around you. There are three major IT technologies that we watched grow this year, and expect to keep going in 2019. 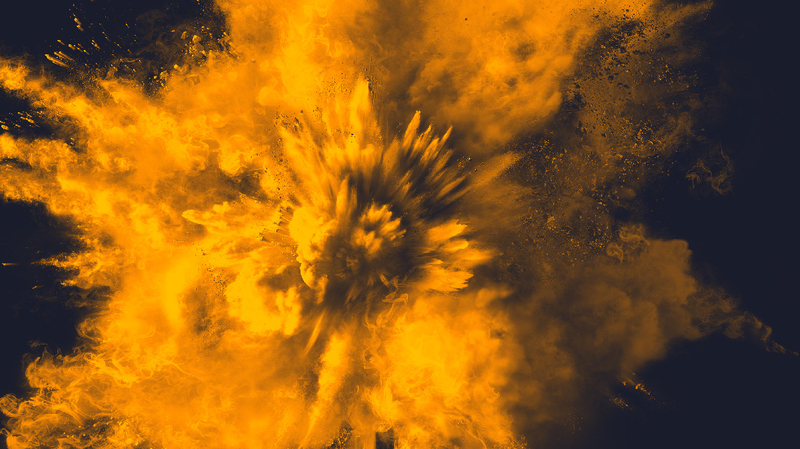 Cybersecurity, the blockchain, and data science saw explosive evolution and growth in 2018 — and show no sign of slowing down. Companies large and small are investing in systems and products related to these three areas. What you need to know is that they’re already on the lookout for people trained in creating, implementing, and maintaining the technology to use them. It’s probably not a surprise that cybersecurity tops this list, but it should be. After all, it’s not that the importance of cybersecurity changed. Security has always been important, but it seems like everyone just realized that this year. Subsequently, companies are finally throwing resources at products and personnel to sure up their systems. There’s no shortage of security products to buy. One estimate from Forbes predicts that products and services in the information security market will reach an excess of $114 billion by the end of 2018. That’s a 12.4% increase from 2017. While there’s plenty of products, personnel is another matter. The security industry is increasingly shorthanded. That same Forbes report says that finding people with sufficient digital security credentials was one of 2018’s most pressing concerns in hiring. If you stay ahead of the curve and know the most recent threats and capabilities, you could be the big winner. The last few years (and elections) have seen a lot of conversation about digital security, hacking, and data manipulation. Concerns about cybersecurity won’t fade away in a few months. Security risks, business needs, and industry changes are the three major drivers behind the need for digital security. The need for cybersecurity isn’t going anywhere, but the truly savvy job-hunter should probably consider why businesses need their data secured. So, what do you know about hardware authentication, user behavior analytics, and cloud security? Those are cybersecurity’s growth areas in 2019, and you can learn them with CBT Nuggets. Oh, blockchain. You were living under a rock in 2018 if you didn’t see the explosion in hiring for blockchain “experts.” Bloomberg reported that jobs that called for blockchain experience increased by four-fold in 2017. Meanwhile, Indeed.com estimates that since 2015, the number of jobs looking for blockchain training has increased by 631%. Basically, if your resume even brushed up against a blockchain skill set, your LinkedIn message box was probably overflowing this last year. The manpower gold rush isn’t over yet. Organizations are still rushing to hire people who can fulfill their needs. Whether it’s small businesses or large, blockchain provides security, fraud-prevention, and management efficiency that’s unique. Most people in the general public know about blockchain because of Bitcoin, the inaugural blockchain currency. But, that’s just one of the thousands of cryptocurrencies — and, importantly, only one application of the technology. Blockchain is actually huge — and growing. Smart contracts are one of the most cited applications for blockchain. These programmatic self-executing agreements can unlock some exciting implications for business, real estate, or even retail transactions. With immutable, public ledgers, blockchain-enabled crowdfunding means more transparency in fundraising and money distribution. And there are even programs that enable blockchain governance — ensuring fair representation for people in an organization’s decision-making processes. Even file storage becomes much better with blockchain. Those changes aren’t going to come about on their own. Companies need people who know how to create and implement blockchain and how to navigate blockchain methods to help a business achieve its unique goals. As that technology expands, learning how to develop blockchain technologies will likely guarantee you a lucrative and exciting career. Even more traditional IT vendors are taking the blockchain plunge. For example, VMware recently announced that VMware Blockchain is in beta. It wouldn’t be a bad idea to make sure your IT security and storage skills are up to snuff if you plan to work with blockchain. Many years ago, a researcher proclaimed that 90% of the data in the world today was created in the last two years. That statistic has become part truth, part fable, and mostly just a good illustration to say, “We generate so much data.” Here’s the point. Companies are hoarding more data than ever before because it’s cheap and easy, but many of them don’t know what to do with it. That’s where data science comes in. With every transaction, call, or click, someone is collecting data about user’s behavior or preferences. But it’s only just data until someone translates that data into insight. Transforming raw data into useful information is something that trained data scientists do. Jobs for data scientists are on the rise. In the last three years, jobs for data scientists increased by 75%. If you know Python, R, Hadoop, Java, Tableau or other programming languages, you could find a place at the data science table. Companies need help extracting useful information from the huge trove of big data that exists out there. If helping them do that sounds interesting to you, you might be even more interested to learn that a typical data scientist job pays about $119,000 to $168,000 near the top of the average. There’s never been a better time to learn how to analyze data, automate analysis, and update models and systems for big data companies. Thinking about a career path or change? Data science, blockchain, and cybersecurity are exploding, but they’re not necessarily easy to get into. Despite what many people say, there’s no such thing as an entry-level security expert. You might just be getting into it, but that’s on the back of at least half a decade of IT experience. Similarly, breaking into data science typically requires an advanced degree, statistics training, and programming skills. As for blockchain experts, that’s probably the easiest to enter, but it’s a gamble. There’s a growing market for the skills and knowledge, but it’s a nascent technology. In all three fields, job outlook, pay, and demand are high because they have a shortage of qualified professionals. It’ll take some specialized training, but if you’re willing to take the leap, you’ll find plenty of opportunity in data science, cybersecurity, and blockchain the coming year.